Founded in 2011, the members of Ensemble Inverspace are dedicated to contemporary and experimental music, preferably by working in close collaboration with composers. During its recent years of existence, the ensemble’s focus has shifted to the possibilities of creative work processes in the context of electronic music and new sound technologies. In 2013, audio designer Robert Torche joined Inverspace on a concert tour to Russia to participate in a new version of Vinko Globokar’s „Corresponances“ for 4 instruments of different instrument families where the electronic music took over one part as chamber music partner. From this project, the desire has grown to include electronic music and technology as a „human“ chamber music partner with the same attributes, musical responsibilities and spontaneity like other instrumentalists. 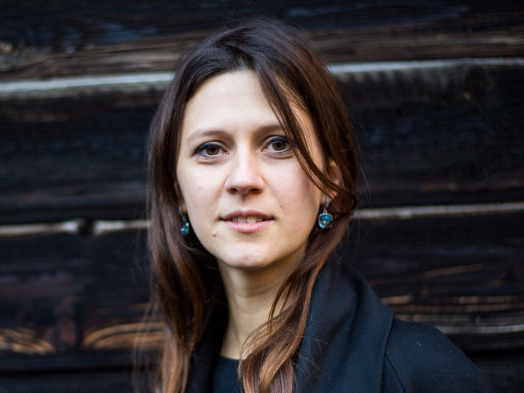 Today, the Ensemble consists of the five musicians Maruta Staravoitava (flute), Clemens Hund-Goeschel (piano), João Carlos Pacheco (percussion), Patrick Stadler (saxophone), and Robert Torche (live-electronics). Ensemble Inverspace has taken part in festivals such as „Culturescape“ in Basel, „Dialogues“ in Minsk/Belarus, or „2 days and 2 nights“ in Odessa/Ukraine. In 2013, the group was also invited by the „Centre of electro-acoustic music“ in Moscow to hold a conference and perform. Ensuing that, a concert tour with their program „Yamanote“, a visual-accoustic sound map of Tokyo, lead Inverspace to major concert venues in Switzerland and Germany in 2014 and 2015. In 2016, the group follows invitations by the National University of Singapore and the Universiti Teknologi Mara, Shah Alam, Malaysia, to play concerts and give workshops. They shared the stage with music students for a concert at the university and with local musicians at the switch on festival in Kuala Lumpur. In Spring 2017 the project Flickering Shades was presented in Switzerland and California, USA. Concert took place at Mills College in Oakland and at Chapman University in Orange, where the ensemble also gave a masterclass. The tour was closed by the performance at the first M.A.R.S Festival in L.A. In 2018 Inverspace invited three Cologne base d composers, Georgia Koumarà, Matthias Krüger and Sergej Maingardt, to write each a new piece. The three premieres were performed in Berlin, Freiburg and Cologne. The projects of the last year and the Ensemble were support by foundations such as Musikfond, Goethe Stiftung, Kulturamt der Stadt Köln, Pro Helvetia, Impuls Neue Musik, Ernst Göhner Stiftung, Fondation Nestlé pour l’Art, FONDATION SUISA and Fondation Nicati-de Luze. Born in Minsk, flutist Maruta Staravoitava currently resides in Cologne. Her musical tastes range from Baroque to contemporary music, where she particularly enjoys working directly with living composers. She is a proud member of the Inverspace ensemble, as well as the EXPERIMENTAL Ensemble in Freiburg, Germany. She has also performed in numerous ensembles such as Contrechamps in Geneva, Ensemble Contempoarte in Florence, Ensemble Musikfabrik and Ensemble Garage in Cologne, and the Santa Cecilia Orchestra in Rome. She has collaborated with conductors such as Pierre Boulez, Antonio Pappano, Beat Furrer and Jonathan Nott. In 2010, as a member of Lucerne Festival Academy, performed, among other works, Pierro Lunaire of Schoenberg under the direction of Pierre Boulez. In 2016 she participated in the production of the opera Prometeo by Luigi Nono at the Lucerne Theater under the direction of Clemens Heil. An active teacher and animateur, Maruta has delivered many flute and composition masterclasses at the Belarusian State University of Culture and Arts (Minsk), the University of the Philippines College of Music (Manila, Phillipines), the Center for the Electroacoustic Music at Moscow P.I. Tchaikovsky Conservatory (Russia) and at the School for Music and Fine Arts in Paraná (Brazil). Clemens Hund-Göschel (piano), born in Frankfurt/Oder, received his piano diploma at the HfM »Hanns Eisler« in Berlin. He completed a master’s degree in »Specialized Musical Performance – Contemporary Music« in Basel with distinction. He was further inspired by musicians such as Birgitta Wollenweber, Yukiko Sugawara, Nicolas Hodges, Marino Formenti, Ian Pace and Manuel Nawri. He is interested in new performance concepts, which he realizes with the Eunoia Quintet and the Ensemble Inverspace. The interdisciplinary exchange with other art forms and sciences as well as the mediation of contemporary music are of particular interest to him. 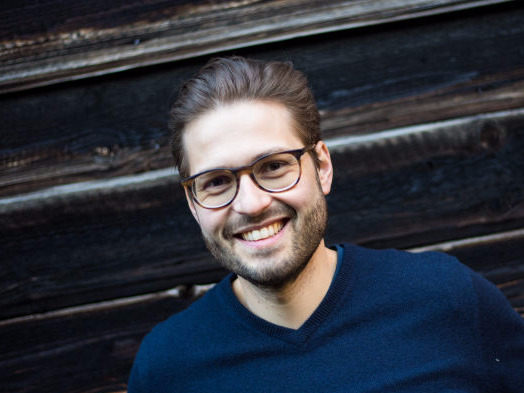 Clemens Hund-Göschel has performed numerous world premieres with works by Isabel Mundry, Heinz Holliger, Mike Svoboda, Carola Bauckholt, and has collaborated with composers such as Helmut Lachenmann, Salvatore Sciarrino, Hèctor Parra and Helmut Oehring. In his active concert activity he has appeared in the Berlin Philharmonic, the Konzerthaus Berlin, the State Opera Berlin, the Presidential Palace Warsaw, the Tchaikovsky Conservatory in Moscow, the Odessa Philharmonic Theater, at the »CrossSound Festival« in Alaska, Vienna Modern, the Biennale Salzburg, the Teatro del Canal and the Auditorio Nacional in Madrid, the WEF in Davos and the Philharmonie Luxembourg. Recordings and recordings of concerts with Clemens Hund-Göschel have been broadcasted by SWR2, DLF Kultur, rbb Kulturradio, SRF2 and RTS (Switzerland), KBS (South Korea), NRCU (Ukraine) and PR2 (Denmark). CDs have been released by Testklang, Dacapo, EZM/Wergo, bastille musique and Kairos. 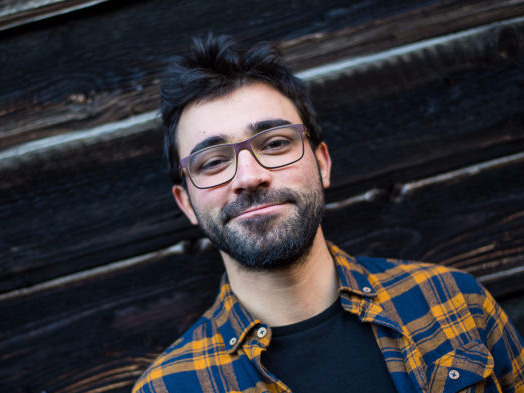 João Carlos Pacheco (*1988) is a Portuguese percussionist, composer, and a dedicated proponent of multidisciplinary performance. João Carlos has specialized himself in the field of contemporary music and has worked with composers such as Simon Steen- Andersen, Jorge Sanchez-Chiong, Erik Oña, Francesco Filidei, Andreas E. Frank, Kaj Duncan David, Gary Berger, Vinko Globokar, Phillipe Manoury, Ulrich Krieger, Peter Maxwell Davies, Vitor Rua, António Pinho Vargas, Emannuel Nunes, among others. Strongly dedicated to chamber music, he is very active in the European contemporary music scene. 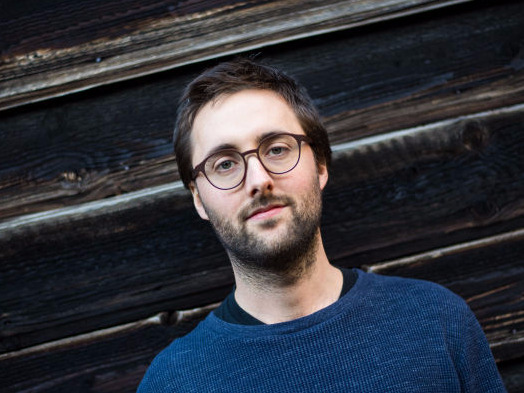 In recent years has kept himself busy as a member of Blechtrommel duo, TAL Trio, Ensemble of Nomads, Ensemble Lunaire, Ensemble Inverspace and Ensemble Phoenix Basel. Besides his work in these formations, he also develops solo projects and works regularly as a guest with many different groups. 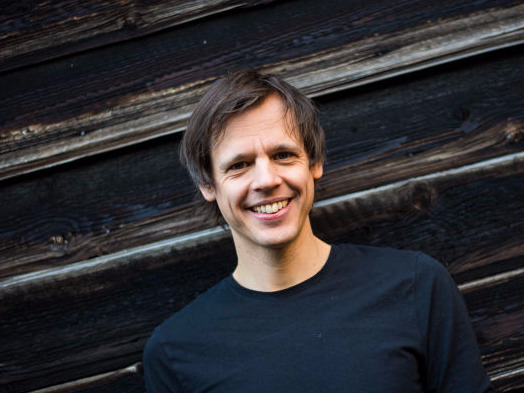 He has collaborated on the creation and performance of multidisciplinary works with institutions such as the Lucerne Festival, ZeitRäume Bienal, Theater Basel and Staatsoper Hamburg. João Carlos studied in Espinho, Porto, Lisboa and Basel. His teachers included Pedro Carneiro, Miquel Bernat, Christian Dierstein and Erik Oña. He is currently based in Basel, Switzerland. Robert Torche is a sound designer, developer and performer of Electronic Music. He specializes in the making and performing of hardware and software electronic musical instruments. Known and recognised for his keenness in sound design and musical informatics, he has been called upon to work in varied fields, among them: musical theatre, multimedia installations, contemporary music, film, dance, theater and recording production. He worked and performed with different formations all over Europe, England, United states, Russia and Malaysia. He is member of ensemble Inverspace, We Spoke, ensemble viceversa and of the free improvisation band UFO with which he just released a new album. He is also used to play in surprising ad hoc improvisation formations. ​At the moment, Robert is working as an independent musician. During his studies, he made a Masters' degree in Free Improvisation with Professors Fred Frith and Alfred Zimmerlin at the Musik Akademie of Basel, where he previously also achieved a Master in Audiodesign.